Scuffing Pad Assortment - 1 each Medium, Fine & Ultra Fine. Use instead of steel wool for surface preparation on wood, fiberglass, metal or even painted surfaces. 1/4" X 9" X 6" pads are similar to "Scotch Brite" pads but actually come is "grits". 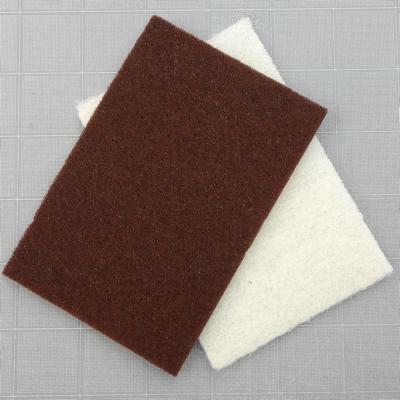 Medium grit (maroon) pads are good before and after priming. Fine (grey or gold) and Ultra Fine (white) will remove fine amounts of surface material. The Ultra Fine can be used as a final polishing on painted surfaces.